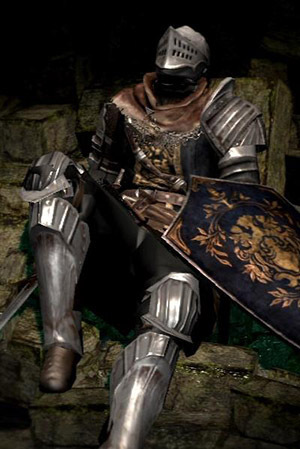 He is an Undead knight from Astora who is on an Undead pilgrimage. He helps you at the start of the game by dropping the corpse with the Dungeon Cell Key. The next time you meet him, he's close on going Hollow. Since he cannot finish his mission, he chooses you to inherit it. Behind the broken wall. You need to trigger the iron ball trap so that the iron ball smashes onto the wall, opening the way to Oscar. He will be standing in the place he died, hostile and ready to attack you. Gifts you the Estus Flask and Undead Asylum F2 East Key. Gifts you the Big Pilgrim's Key in addition to the above items if you managed to kill the Asylum Demon without retrieving your starting equipment and/or meeting him first. This only lists Oscar's hollowed stats. When you first meet him, he'll always have 1 HP and 100 souls. After he gives you the keys (and the Estus Flask if on first playthrough), when you leave the room, he appears to have succumbed to his fate. You will hear his death rattle, get some souls, and he disappears from his previous location (if you run fast enough, you can even see his death animation). After this event, the next time you visit the Undead Asylum, he will be waiting for you, hollowed. 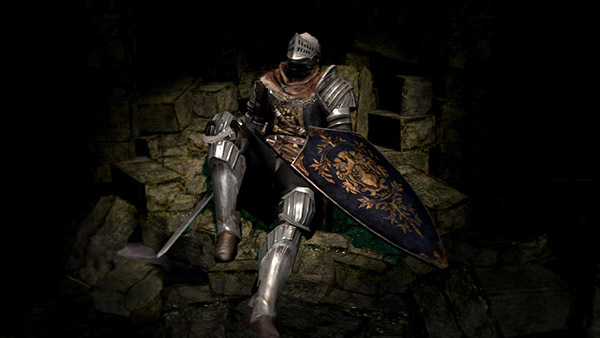 Equipped with a unique version of the Elite Knight Set which contains no item names or descriptions but, unlike the other unique NPC versions of player armor sets, can be equipped by both male and female characters. …Oh, you… You're no Hollow, eh? …You and I, we're both Undead… Hear me out, will you? …When thou ringeth the Bell of Awakening, the fate of the Undead thou shalt know. …Oh, one more thing…Here, take this. …An Estus Flask, an Undead favourite. … When thou ringeth the Bell of Awakening, the fate of the Undead thou shalt know. … Oh, one more thing… Here, take this. … I have not long to live, and I may harm you after death.